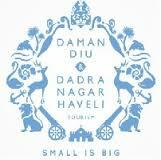 UT Administration of Daman & Diu has published a Advertisement for below mentioned Posts 2015. Check below for more details. HSSC Passed, A grade certificate in Nursing from a recognized Institution. Certificate in Midwifery. Std 12th with Science subject. 2 years diploma in Operation Theater Technician Course from any recognized University / Institute. Graduate from a recognized University with Chemistry as main subject. SSC or equivalent or ITI pass with 2 years experience reputed Hotel / Restaurant or establishment. Address to sent Applications : Office of the Director, Directorate of Medical & Health Services, C.H.C., Moti Daman - 396220.